These heavy-duty hoes are perfect for clearing fire lines. The sharp head cuts trees up to 1" in diameter as well as large weeds. These versatile tools can also be used for breaking up sod, cultivating crops, and other garden work. The ferrule is welded directly to the head, and a rivet and adhesive in addition to a pressure fit secure the handle to the head. If you have any questions about this product by Rogue, contact us by completing and submitting the form below. If you are looking for a specif part number, please include it with your message. 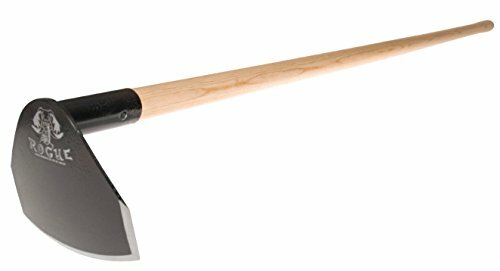 Wolf-Garten 3132000 Double Hoe IL-M 3"